This happy holiday, P.I. Penguin wants to create a very special Christmas lights display. Even with his string of bulbs, his lonely home looks stark and stoney. But after a tour through the decorations of his native animal friends, and the help of a visiting lyrebird, P.I. Penguin discovers the seasons secret answer to his question, "What makes Christmas lights special?" the tawny frogmouth camping ground. and from the trees he heard a sound. "A Merry Christmas, little blue. We are delighted to see you." "What brings you to our rendezvous?" "I'm looking for a light breakthrough. What makes your lights so special?" All P.I. 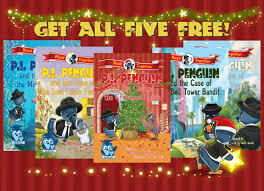 Penguin books include dyslexia-friendlyformatting for easy reading and are particularly suited to dyslexic readers young and old. This particular story is ideal for ages four to ten. This is the time of year of the holiday season we know as adults it can be stressful and sometimes lonely. Children unconsciously not realizing this. They don’t understand how adults find that Christmas decorating can be overwhelming . 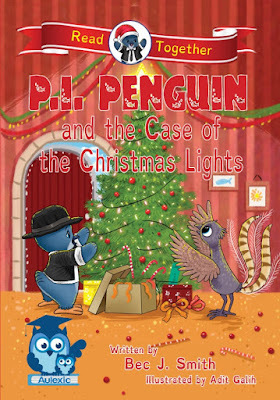 Bec J. Smith wrote a cute rhyme Christmas book for young children of a penguin name P.I. He’s feeling the holiday decorating stress. P.I. Goes to search answers of how to make his Christmas lights look wonderful and delightful. P.I. follows lights of his friends, light decorations decorated to their fashion. He notices that simple nothing elaborate lights that shone so brightly with pride of their creators. Their lights are special to them, there was no hidden answers it was all about being together. It was sharing the holiday and decorations that was the special part of that answer that P.I. was looking for. This is a cute simple rhyming book for young children to learn how important to share the joy of something special. 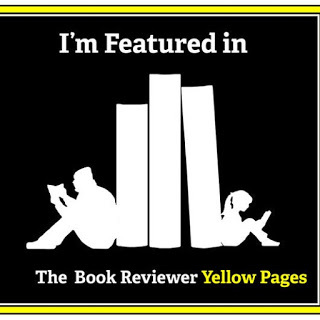 ©Published 28th December 2018 by Oh My Bookness All Rights Reserved to Oh My Bookness and The above and its Contributors. ©Britany Perez and Oh My Bookness December 2018. Unauthorized use and/or duplication of this material without express and written permission from this site’s author and/or owner is strictly prohibited. Excerpts and links may be used, provided that full and clear credit is given to Brittany Perez Oh My Bookness with appropriate and specific direction to the original content.